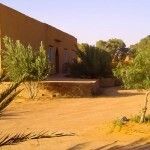 The hostel Africa is located at the foot of the big dune of Erg Chebbi in the province of Merzouga. This is the ideal place to relax and integrate with the local population, where the desert, its colours, its people, its landscapes, its music, are the meeting point of those who want to enjoy the simplicity and depth of magical desert. The hotel offers very affordable prices for small budgets. If you want to compare and find out the hostel actually respects your wallet, we recommend a good travel comparison. The mindset of Moka and Youssef is a reflection of their inn, which is a simple and endearing propinquity. With a generous nature, they will do everything they can to meet your expectations and make your stay in Morocco unforgettable. 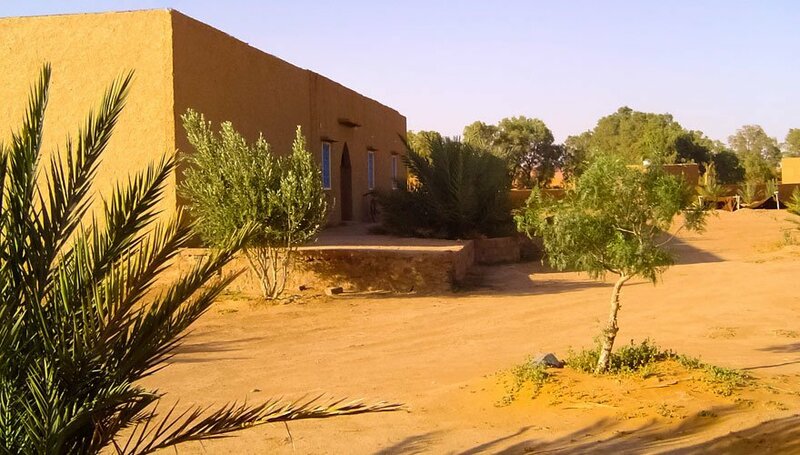 Beyond their hospitality, Moka and Youssef are professional innkeepers for many years, and will be delighted to share with you their passion for the region of Merzouga and pamper you throughout your holiday in Morocco. 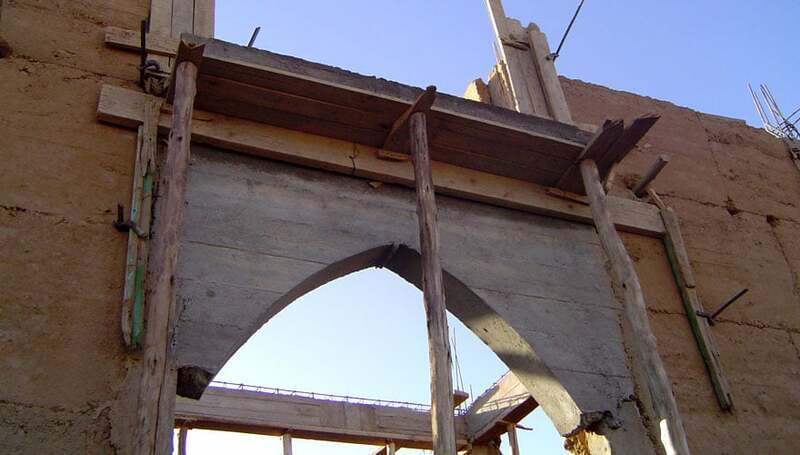 In June 2006, floods destroyed part of the inn. 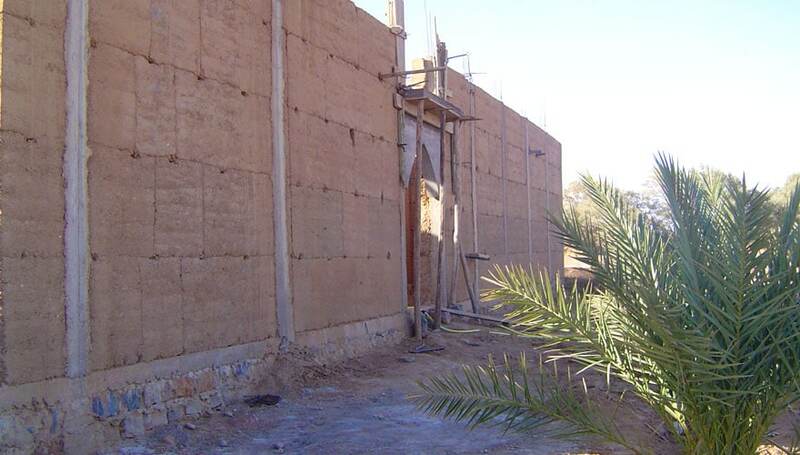 Since that day, the hotel is reconstructed gradually thanks to the will of Moka and Youssef, two brothers who will welcome you with great pleasure to share with you their love of the desert. Now, the inn is completely rebuilt and gradually finds a setting ready to welcome you. Hotel Africa is pleased to offer these services, either to spend a night and enjoy a tajine or go to a bivouac in the desert. from the big cities and to Merzouga, Rissani and Erfoud. We can collect you from the bus station in one of these cities or if you travel by train. between all the cities with the “big taxis”. On request, we can pick you up where you want. 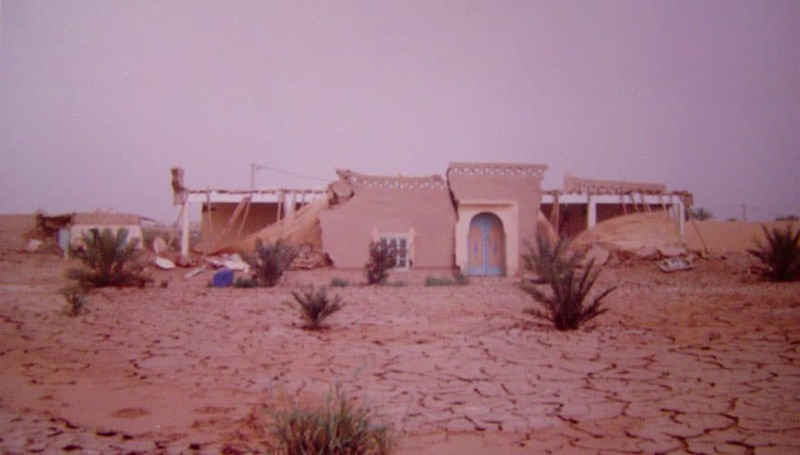 Arrived at the village of Merzouga, follow the signs to the hotel, or pass the door of Merzouga, then continue straight for 150 yards leaving the main street on your left towards the big dune, then take the track on the left for 300 yards, and the Auberge Africa is facing you!